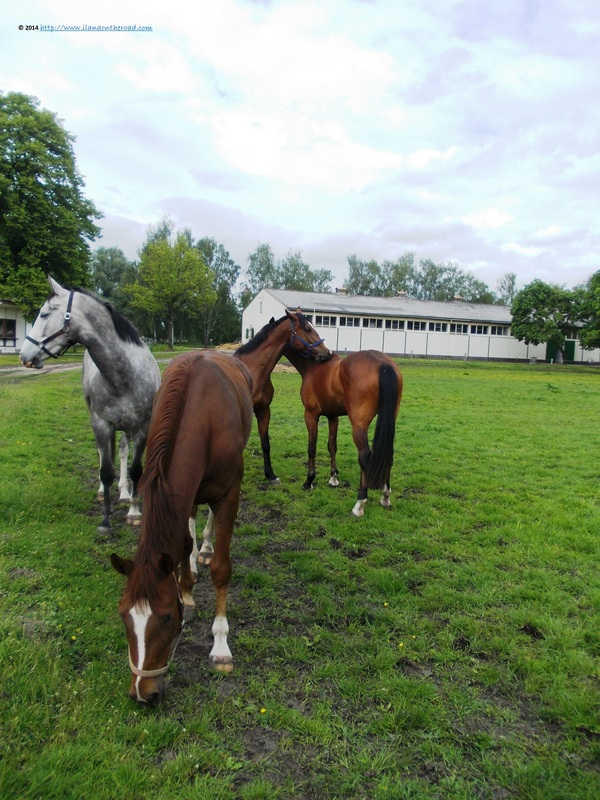 After the horse racing in Hoppegarten, I want to continue my week in the company of horses. 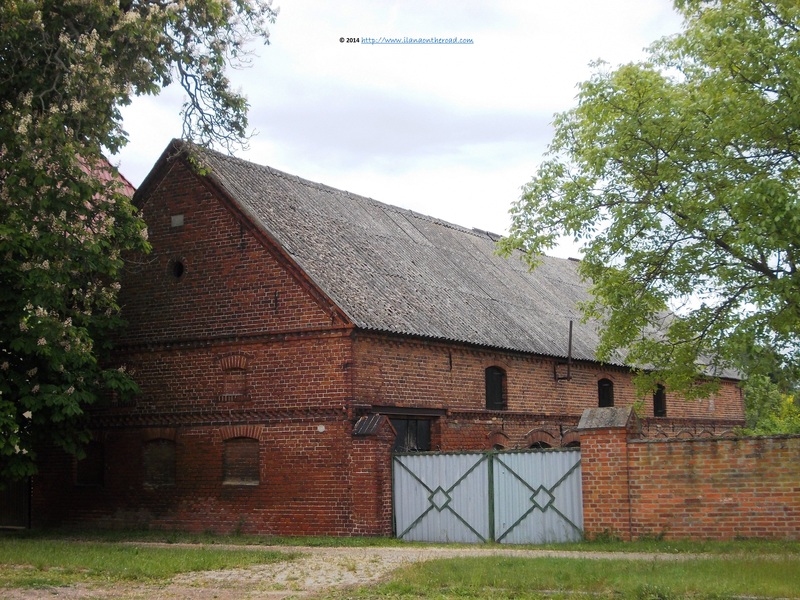 And as I was told that in Brandenburg there is a city created especially for horse breeding in the 18th century, one of the biggest in Europe of this kind, I am heading in the next day by train to Neustadt an der Dosse, less than one hour away from Berlin. It is Wednesday and the streets are quiet, disturbing quiet to be honest. The houses are small, with maximum two levels, with big yards with rooster singing gloriously. Add to this the smell of grass freshly cut and you have the whole feeling of the country side life. 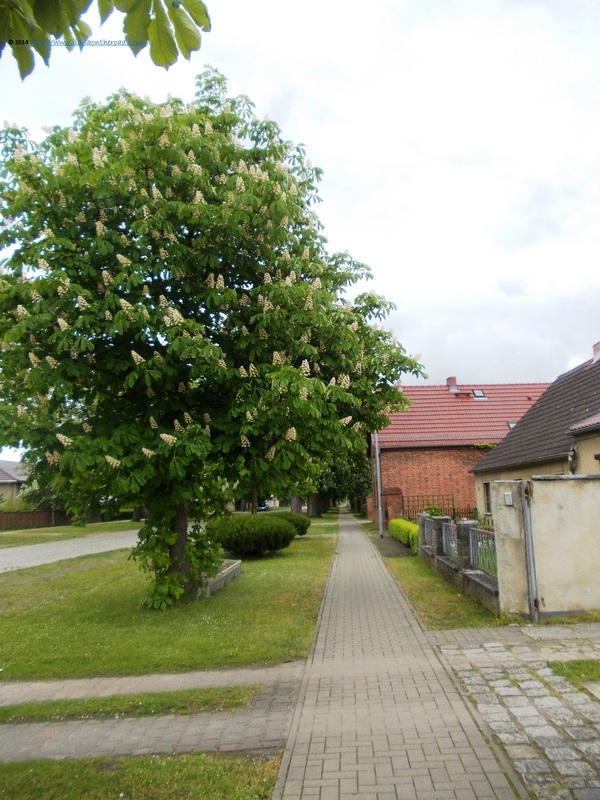 Keeping this in mind, I continue walking an alley bordered by chestnuts in full bloom. Neustadt an der Dosse was created in the 18th century, by Friedrich the II as a state stud center. The horses for the Prussian Army were brought from Wien but also from outside Europe, till the center was able to produce its own breeds. Many old houses nowadays used as shops or medical cabinets or housing look like horse stables because they were created originally to serve as accommodation for horses. 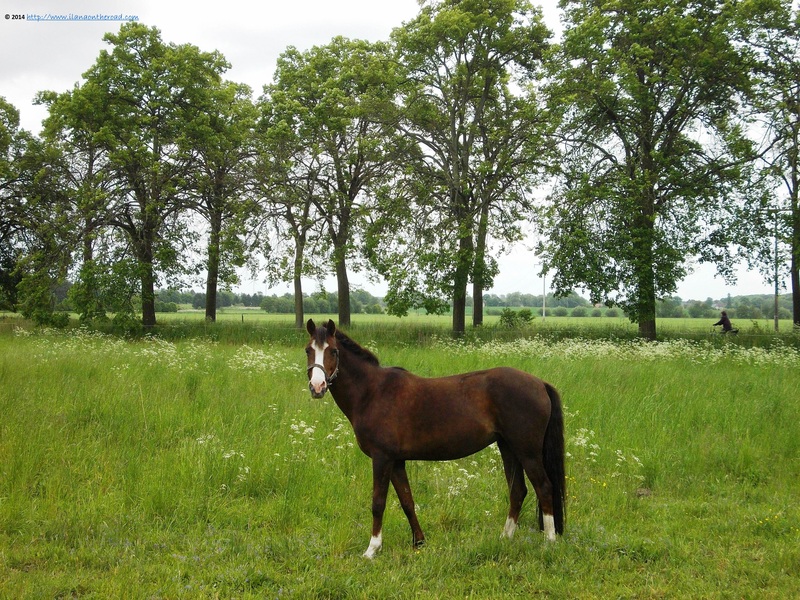 With so much beautiful nature around, there is no wonder that the horses are feeling so good and healthy here. They feel the humans around, as in the case of those three beautiful horses that hear me coming from afar, resumed their eating and welcomed me with curiosity according to their own mysterious and elegant ritual. 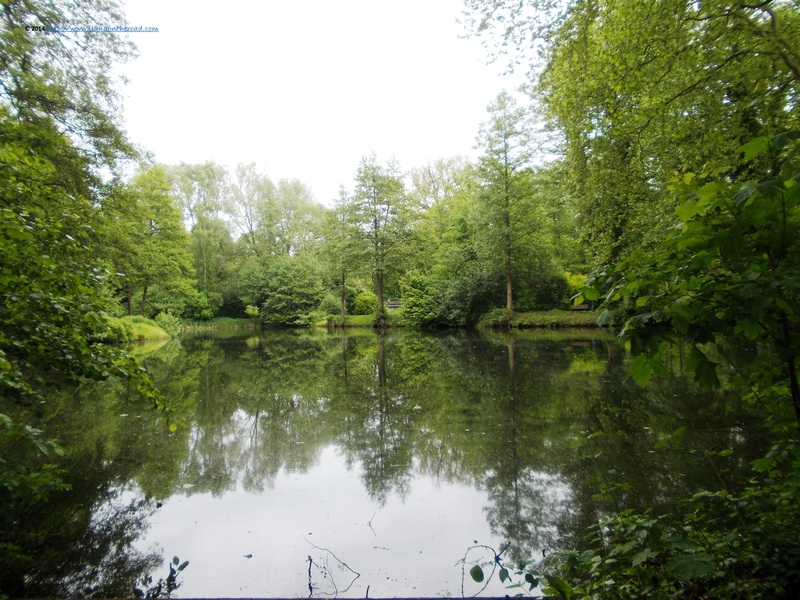 After another 30 minutes of walking, I arrive at the Forstlehrgarten, a small park where families with children can enjoy the experience of the life in the middle of the nature, either by learning more about old tools used in the agriculture or about birds and animals living in the Brandenburg area. 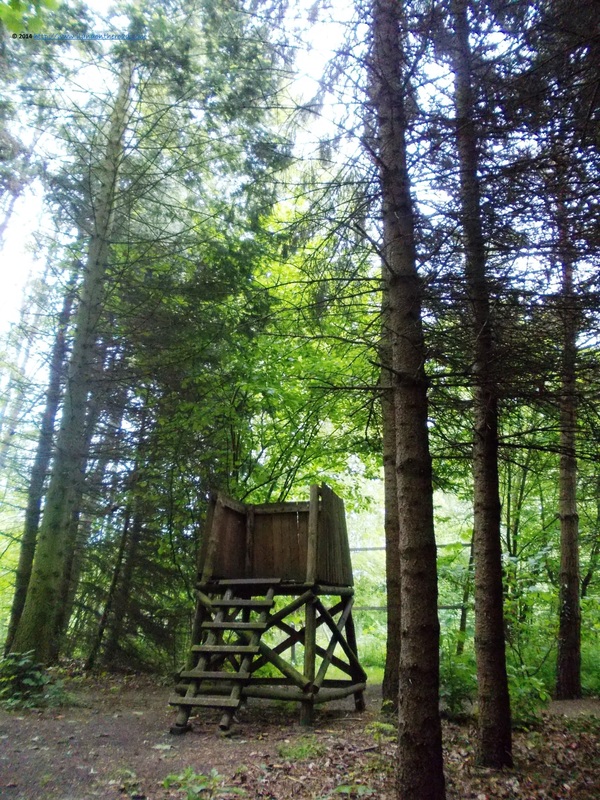 It is a nice piece of wood where you can walk and enjoy your time while learning a little bit as well. Nearby, a beautiful park, near the biggest hotel around. Otherwise, people can find easily private accommodation. As for food, there are a couple of small restaurants with fast-food look, but open in the afternoon. Neustadt an der Dosse doesn't have a center in the proper sense of the word. 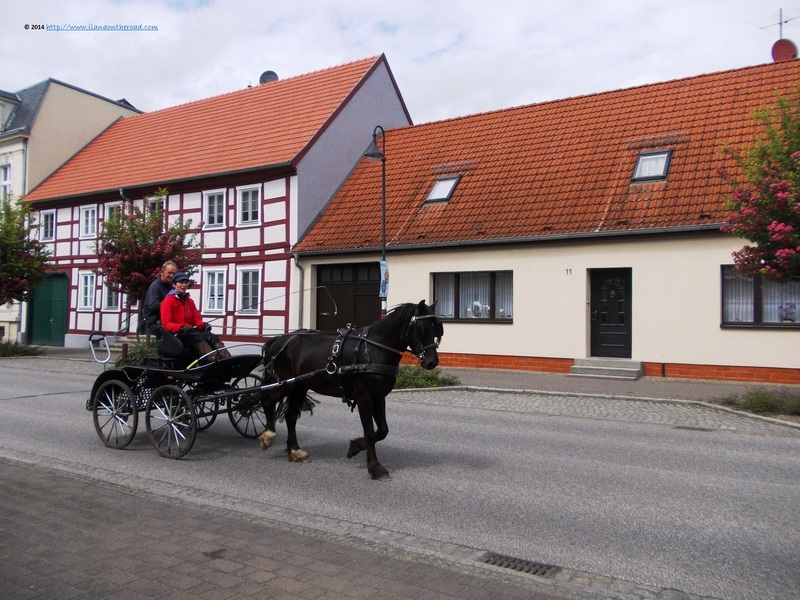 There are a couple of small shops, even an insurance company with extensive services offered for horses, and even some historical old buildings. While I was thinking about what exactly you can do here except horses, I was reminded that this can be enough: a carriage carried by a beautiful black horse broke the silence of the street. I was feeling in a film studio with a remake of old country movies. A beautiful feeling, I might say. 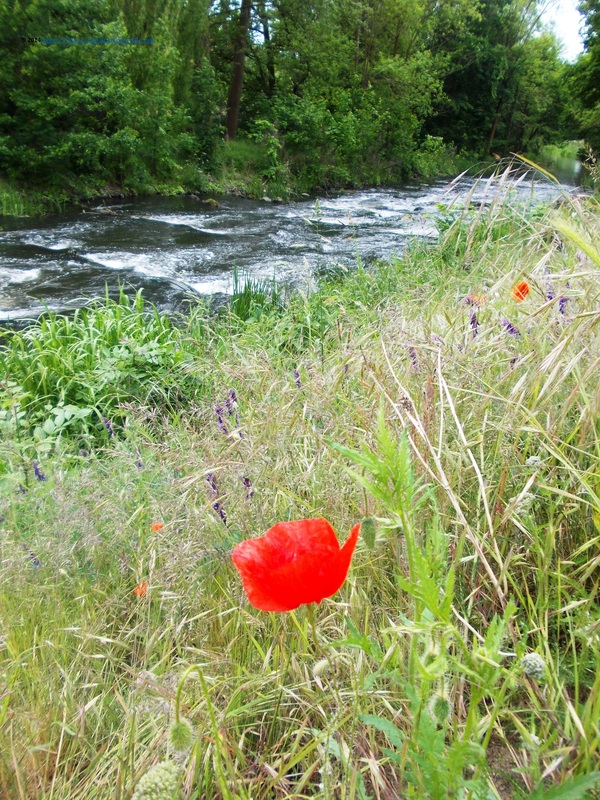 For more quietness, near the river Dosse there are enough spots where to stay and look around at the beautiful colourful flowers. 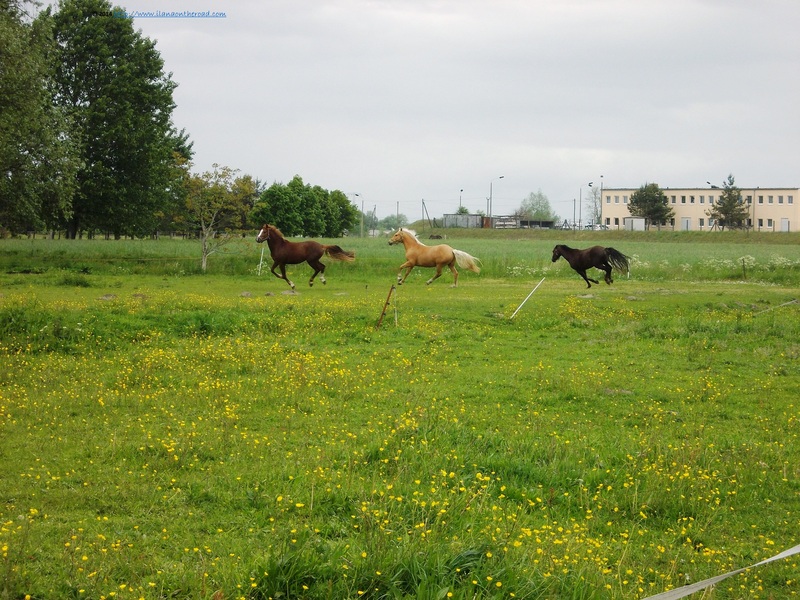 Otherwise, everywhere where is a small piece of healthy grass, there will always be horses. They are used with humans, but still, educated enough to keep an elegant distance from them. On the way to the historical training center, one of the most important in this part of Germany, there are even more horses: of all ages and breeds, more or less annoyed by the human curiosity. Grandparents bring their children to look at them, and tourists are renting big carriages for a round around the city. As there are not too many cars on the streets, they can relatively walk unharmed. 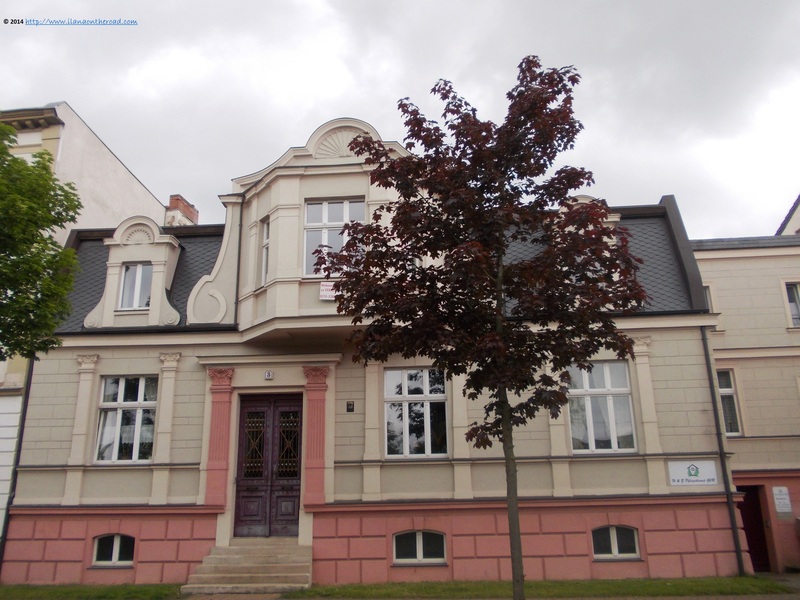 At a certain extent, the history of the center in Neustadt an der Dosse reflects historical episodes of this part of the world too. Friedrich the II wanted to introduce the use of horses part of his larger plan to reform the army. During WWII, around 4,800 horses were used for infantry, many of them being killed. When the Red Army arrived, 300 horses at least were took away to the Soviet Russia. Nowadays, they are part of more peaceful plans, being mostly trained for sport competition. When I am leaving, I feel under the spell of beauty for a long time after. Back in the busy city, I know that I can hardly expect to see a horse graciously walking in the crossroad. But I least I know that the beautiful creatures are not that far away from me.